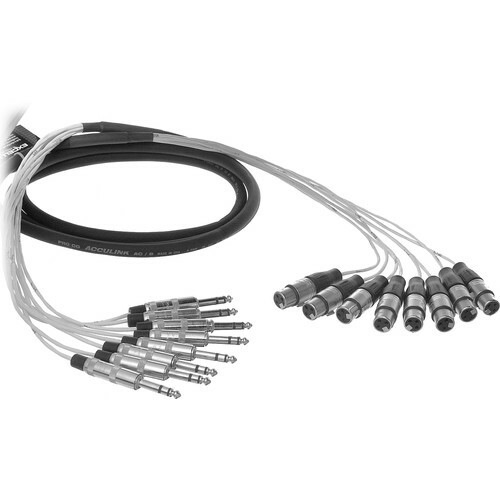 The Pro Co Sound MT8BQXF-10 Analog Harness Cable 8x 1/4" TRS Phone Male to 8x XLR Female (10') is great for connecting all kinds of studio components. The cable is encased in an ArmorFlex outer jacket for durability with tangle-free flexibility, and is terminated with heavy-duty connectors for years of trouble-free use. Box Dimensions (LxWxH) 12.0 x 9.1 x 1.7"